Debate can range quite a bit about what fruits and vegetables are the most nutritious. What is currently known about nutritional components in foods, such as phytochemicals, is still being studied. One way to determine nutrition is to consider produce that boasts the highest ANDI scores. What is the ANDI score? ANDI stands for Aggregate Nutritional Density Index. The scores are calculated by evaluating an extensive range of micronutrients in a given food. The ANDI index ranks many common foods on the basis of how many nutrients they deliver to your body for each calorie consumed, helping you visualize nutrient dense foods and how they compare with one another. Dr. Joel Fuhrman created the ANDI score. It is his recommendation that you eat a wide range of nutritious foods but to consume mostly foods that have an ANDI rank of 100 or higher. Most of these foods have additional benefits such as anti-inflammatory properties. You want to tamp down inflammation in your body because not only does it help cancer grow and spread but it also damages your blood vessels and increases your risk for inflammation-related health problems. The fiber you get in vegetables helps lowers risk of heart disease by reducing total cholesterol as well as triglycerides and lipoprotein, the vicious thugs of the cholesterol set. Soluble fiber in vegetables helps stabilize your blood sugar levels making it useful for staving off or fighting insulin resistance and diabetes. As for anti-cancer benefits, you want foods that are anti-inflammatory, antioxidant, and alkalizing, the big A’s of anti-cancer foods. Using the ANDI score, here are some plants that grow relatively easily in our region of North Carolina. Leafy greens such as kale, collards, mustard, turnip, and watercress as well as Swiss chard, bok choy, and spinach tower above many other fruits and vegetables. Eat them in salads and sautés, drink them in smoothies or juice, add them to recipes like soup, scramble them into eggs, but get them in there because they boast some of the best bang for your nutrition bucks. With top-end ANDI scores from 707-1000, they are bursting with benefits, and put the Hulk-smash on disease. These contain fiber, the ability to help alkalize the body, vitamin K for your blood, bone, and cardiovascular health, vitamin C for immune and cardiovascular health, lutein and zeaxanthin for your eyes, and so much more. Those in the broccoli family contain indoles, which have proven benefits against prostate, breast, colon and ovarian cancers by inhibiting cancer cell growth and stimulating cell death in cancer cells. ANDI scores for lettuces range from 507 (red leaf lettuce) to 604 (arugula) with Romaine and green leaf lettuces popping up in the middle. Lettuces are really just more types of greens, your go-to goodies for goodness. These herbs and vegetables fall into the 400-500 range for ANDI scores and include radishes (502), Brussels sprouts (490), cilantro (481, excellent for detoxifying the body of heavy metals) plus turnips, pumpkin, carrots, cabbage, as well as oregano, thyme, and spearmint. A one-half cup of Brussels sprouts supplies 80% of your daily value for Vitamin C. One hundred grams of raw carrot explodes with 557% for vitamin A.
I was initially sad to learn my beloved broccoli come in at 340 on the ANDI scale (that’s raw, only 294 cooked) but if corn only clocks a measly 41 and corn syrup comes in at only 1 on the scale, then broccoli, cauliflower, cabbage, parsley, dandelion greens, and mixed baby greens start to look pretty darn shiny. Cruciferous vegetables such as broccoli, cauliflower, and cabbage contain indole-3-carbinol, a plant sterol that enhances DNA repair and helps inhibit blood vessel formation to tumors, enhances detoxification processes in your liver and gut, and forces cancer cells to die. 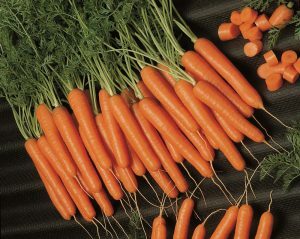 They are also excellent sources of fiber, vitamins C and K, and have anti-inflammatory properties, as well pro-detoxification components, and antioxidants such as beta-carotene and lutein. The next time you get the urge to rip out your dandelions, consider at least saving the young leaves. Dandelion is incredibly nutritious with 338% of your daily value of vitamin A, more vitamin C than tomatoes, and high amounts of potassium, iron, calcium, and vitamin K. And, it grows for free in your yard. Add the fresh greens to the juicer and blend them into smoothies, sauté them, or add them to soups and stews. All parts are edible (except maybe those fluffy seed heads) and you can even fry, roast, or steam the roots, or add them to soups. If you have your lawn treated with chemicals, best to skip the dandelions. Don’t overlook this section because some interesting vegetables rank here including peppers, pumpkin, and asparagus. Asparagus is a primo source of iodine, vitamin K, choline, and vitamin A as well as copper, iron, and folate. It provides special carbohydrates called polyfructans that help feed your gut bacteria. It also is a rich source of glutathione, often referred to as the “master antioxidant” that helps the body produce and recycle antioxidants as well as bind to harmful chemicals, heavy metals, and other toxins so they can be eliminated from the body. If you like stuffed peppers, you’ll be glad to know they are already stuffed with vitamins C, A, B6, and folate plus fiber and more than 30 different kinds of carotenoid phytonutrients. Far be it from me to suggest you not grow tomatoes. I love tomatoes! And, tomatoes are good. But, tomatoes only rate an ANDI score of 186 (raw, 185 cooked) and I have focused on produce that scores above 200. 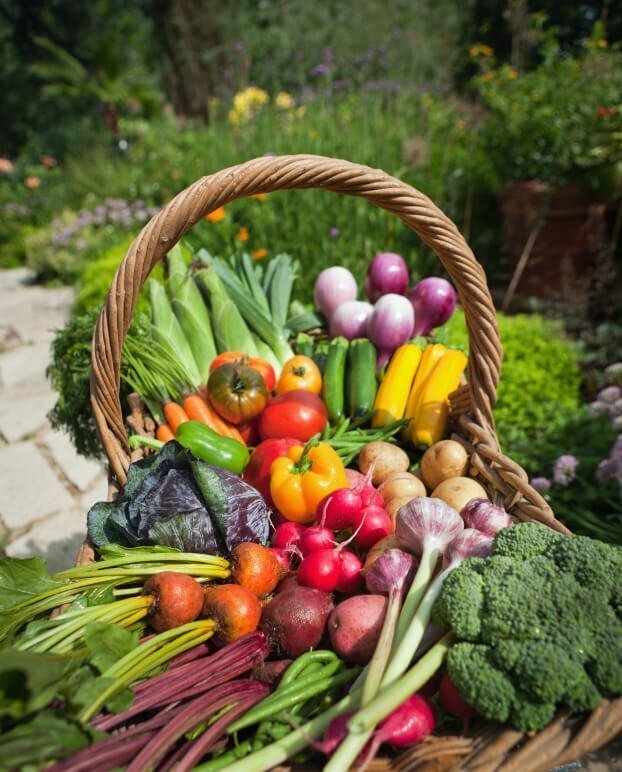 Plenty of excellent fruits and vegetables such as blueberries, strawberries, sweet potatoes, tomatoes, peppers, okra, and zucchini rank under 200 yet still come in above Dr. Furman’s suggested base tier of 100. Most of these are cool-season vegetables and should be started in late summer (mid-August) for a robust fall crop, or in late winter for a spring crop. Many such as greens, lettuces, and crucifers, will go to seed when it gets hot. This often means the spring crops are smaller than the fall crops as the window of growing time is shorter. For spring crops, some of these veggies need to be started by seed in mid-February for March or April planting. Transplants, available in nurseries in late March to mid April or as homegrown seedlings, can be planted up to mid June. Exceptions are peppers and pumpkins, which should be planted between mid April and May. All of these plants, except dandelion, can be started from seed or transplants. Dandelion will start itself. You need to prepare your soil well, keep up with the watering, fertilize, weed out the undesirables, and put down mulch. Does it sound like work? It is. You don’t have to have a big garden, and it is incredibly rewarding to pick your own produce on a beautiful summer day, eating them while standing right there in your garden or serving a gorgeous platter of them to friends and family. It’s not just supreme nutrition for your body, since the produce is more fully alive and nutritionally intact than anywhere else you can get it, but it’s also manna for the soul. And, that, my gardening friends, is worth the work!